If you mention Anglo-Saxons, the first thing most people think about is Sutton Hoo – the famous helmet and shield, the beautiful jewellery and the mounds that stand on a hill near Woodbridge in Suffolk. In recent years the Staffordshire Hoard has become famous, but it was probably made by the same artists, and in the same place as the Sutton Hoo treasure. 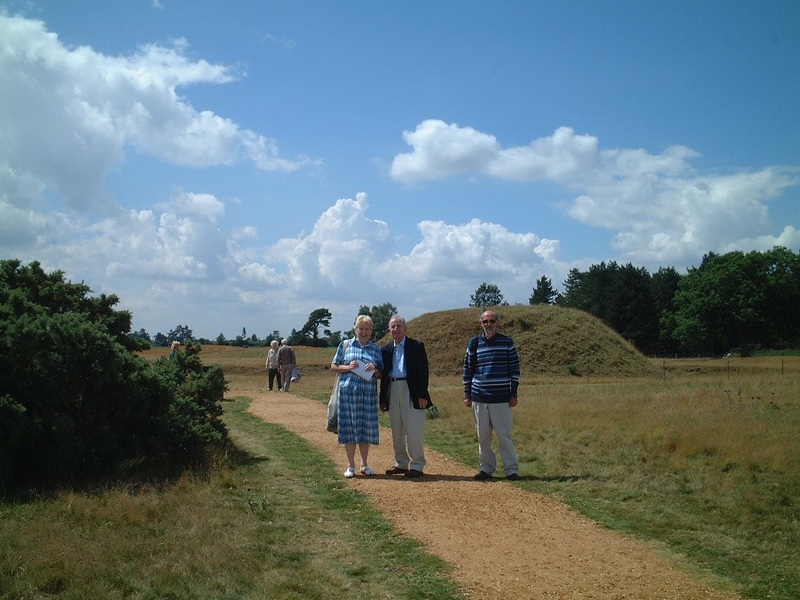 Sutton Hoo has meant many things to many different people. As you will see, I am one of them. There were prehistoric farmers on the site, the woodland was cleared in the neolithic period, they placed pots in pits there. There were bronze age roundhouses but the land became infertile and farming was abandoned, used for sheep and cattle. Farming returned in the Romano-British period, perhaps growing grape vines. Then came the Anglo-Saxons. A little while ago I read Monsters by C R May the third of his Sword of Woden series about Beowulf, which includes a scene where Beowulf himself visits Sutton Hoo and buries a body there. It’s fiction, but a nice idea, someone must have made the first burial there. It was followed by others. There are about 17 burial mounds at Sutton Hoo, dating to the sixth and early seventh centuries. King Rædwald ruled from 599 to around 624. He was the greatest of the East Anglian kings. He defeated Northumbria, installing Edwin as king. He was called Bretwalda, chief of all the Anglo-Saxon kingdoms. Therefore we assume he was the king buried with the great treasure, but we cannot truly know. Who was buried in the other mounds? His relatives and family? Possessions of both men and women have been found; one boy was buried with his horse. On this hilltop, the clan of the Wuffingas demonstrated their power. 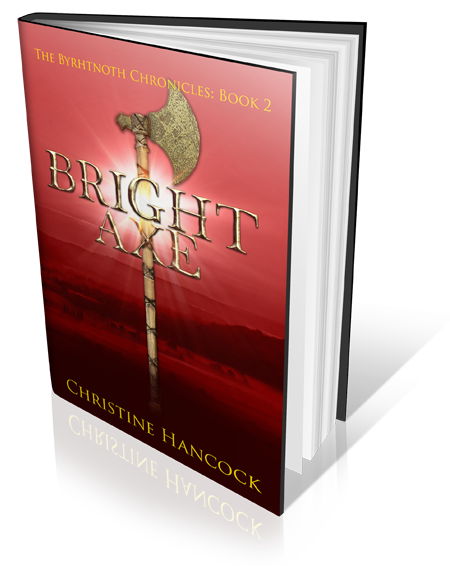 By Byrhtnoth’s time there was no longer a king of East Anglia. King Alfred’s Wessex had expanded to form a single country, England. Danes had invaded the eastern part of the country. Æthelstan was Ealdorman of East Anglia. He was called half-king because of his power. In later life he became a monk at Glastonbury and presumably buried there, his sons were buried at Ramsey Abbey. Sutton Hoo had been abandoned, at least by royalty. Archaeologists have discovered graves from the later Anglo-Saxon period. There was a gallows on one of the mounds and criminals were buried there. So it stayed, seemingly forgotten, until the 20th century, but not untouched. A boundary ditch was dug, destroying part of the largest mound, so looters in the 16th century missed the burial. although other mounds had been robbed. Now, a slight diversion. Before I became a writer, I was a genealogist, in fact that was what started me writing. I gradually became interested in one unusual name, Madder. The family came from Norfolk and I got stuck in the mid 18th century. In my efforts to break this brick wall I extended my search. I came across a family of that name in Suffolk. They lived in Sutton. I didn’t realise the significance of this until I was transcribing the will of Robert Mather (both names appear in records for this family) in 1639. He leaves the property etc “in which I dwell called the Howe”. Robert is referred to as “gentleman”. 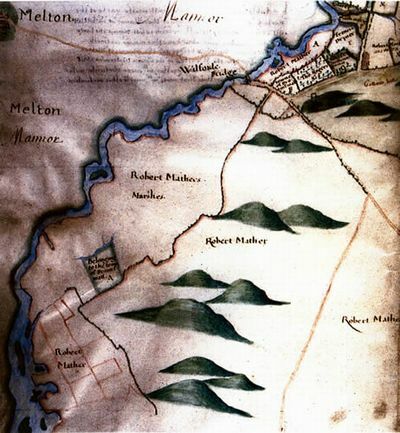 There are twelve wills of the Madder/Mather family dating back to 1474, early members were “yeoman”. They owned the site of Sutton Hoo, they became richer over the years – Robert’s son, Henry moved away and I lost track of them. Are they related to my family? Did they dig up some of the Anglo-Saxon treasure? I will leave it there for now. There were a few digs in the 19th century, but it was not until 1939 that the then landowner, Mrs Edith Pretty, employed Basil Brown, a self-taught archaeologist, to dig the largest mound. When he found the burial chamber the dig was taken over by “professionals”. It was the eve of WW2 and the objects were whisked away to the British Museum. A later coroners inquest awarded everything to Mrs Pretty, who eventually donated the collection to the BM. There is an interesting book, The Dig by John Preston which tells the story of the 1939 events. Fiction, but it gives a good description of the atmosphere and the characters involved. This should be the end of the story, but there is one more event in the history of this place. In July 2002, it was my birthday. I was visiting my parents in Essex and decided what we would do. We had visited Sutton Hoo before, but the National Trust had recently opened in new visitor centre, the British Museum had loaned objects. We would go there, have lunch, visit the display and walk around the site. At this time my father (centre in the above picture) had health problems; he had trouble gripping things with his hands and sometimes swallowing, but he walked round the site (We told him that although he had problems with his hands, his legs were OK.) and enjoyed the day out. Three weeks later he went into hospital, for tests. Motor Neurone Disease was diagnosed, I visited him (he was in a London Hospital.) and we talked about how he would cope, make alterations to their house. He died, peacefully, three days later, on 4th August 2002. Exactly fifteen years ago last Friday. 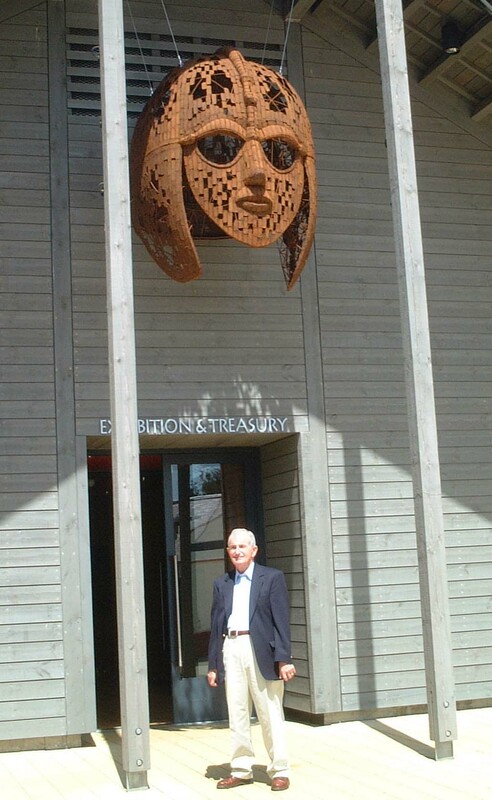 I don’t know why; perhaps I had a premonition, but I took a photograph of him at Sutton Hoo, standing outside the exhibition, beneath a representation of the Sutton Hoo helmet. It is the last picture I took of him. Sutton Hoo has a long and interesting history, that is why have included it in my book (you will have to wait to see how). It is also a special place for me. ← Where are my characters going? A really interesting blog Christine, and also quite moving. Thanks.